Before you even get to eating it, there is much to be said about Spam. What began with the surprise of my winning a tin of Spam, after correctly answering all the questions in a 1940s-inspired charity quiz at work, has become an odyssey of changing uses, changing meanings, and changing diets. The most likely meaning of the word “Spam” is “Shoulder of Pork and Ham,” as the tinned meat itself, made by Hormel since 1937, was introduced as a way of using a surplus of pork shoulder, an unpopular cut, built up by the company. 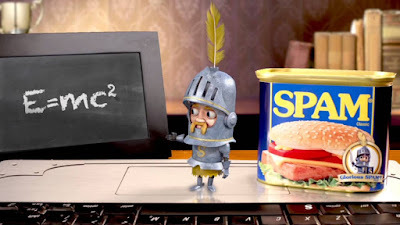 Even though the name was coined in a competition, with Ken Daigneau, the brother of a Hormel executive, winning $100, Hormel insist that the true meaning of SPAM, which they always refer with full capitals, is only known by a select group of executives, as if it were Colonel Sanders’ secret blend of herbs and spices. Monty Python changed the meaning of the word “spam” in two ways, although Hormel only subscribe to one of these. In the United States, Sir Can-a-Lot has graced Spam packaging since 2012, in a reference to “Spamalot,” the musical version of “Monty Python and the Holy Grail” – “Spamalot” was one of a number of titles tested by Eric Idle, coming from the “Holy Grail” lyric, “we eat ham and jam and Spam a lot,” and audiences identified with it the most. 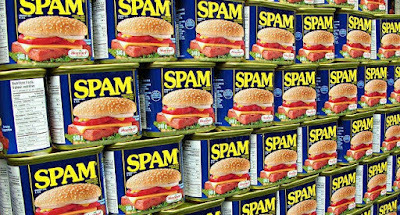 The overtaking of normal speech by the same word, repeated over and over again, has directly led to “spamming” being the word for targeted junk e-mails and the like. 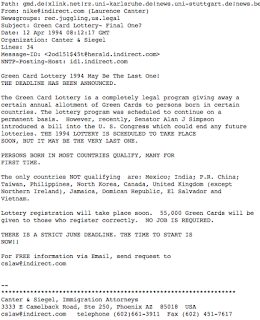 This use came from the user groups and chat rooms, like Usenet and CompuServe, that populated the early internet, where if someone posted something you didn’t like, you had to type something to scroll it off the screen, so typing the same word, like “spam,” became a noted practice – it almost sounds like “spam” was used the way people say “fake news” today, drowning out what they consider to be disagreeable. 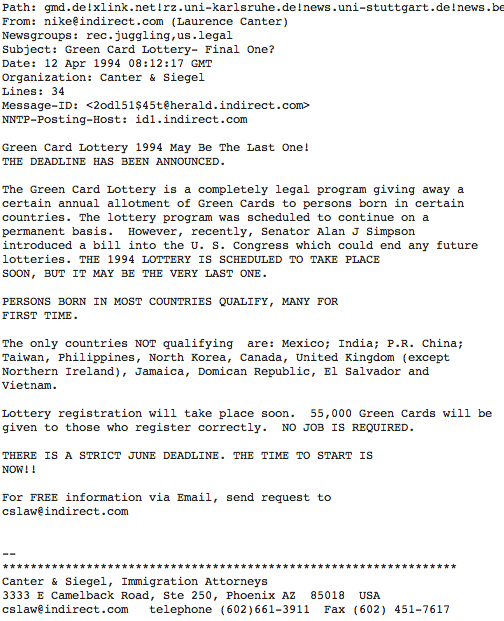 However, the same practice also led to others realising they could post obstructive chain letters, like 1988’s MAKE.MONEY.FAST, leading to the spam e-mails of today. Hormel have disparaged “spamming,” as it twists the meaning of their trademark, but “spam” has been used as a synonym for tinned meat, similar to how “hoover” is used for all vacuum cleaners in the UK. Spam is ingrained in the wartime rationing history of the UK: in 1945, when twenty points per person per week were given for meat, a pound tin of Spam was lowered from 16 to 8 points to get more people to try it, after rejecting unrationed meat like whale and snoek, but the more popular pound tin of salmon was increased from 16 to 24 points to force this further, although you were allowed to save up your points. The UK did come around to Spam, with fritters being a national favourite, but Hawaii have absorbed it into their culture as much as Britain cannot be separated from baked beans - a popular lunch and snack dish is the sushi-derived Spam musubi, and Spam is sold in breakfast platters by both McDonalds and Burger King. 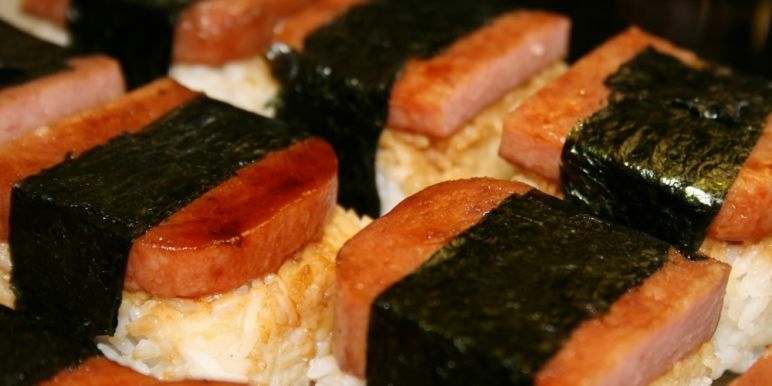 I like the idea of the musubi, which is sticky rice, topped with grilled Spam, and wrapped with seaweed, but will I cook it myself? Perhaps.